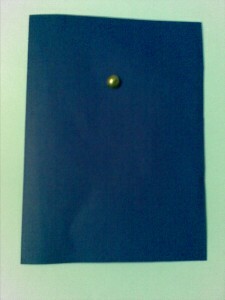 Here’s a pretty handmade bead card that your children’s friends and family will be very impressed to see. Make sure you get the right kind of beads- flat on one side and rounded on the other. 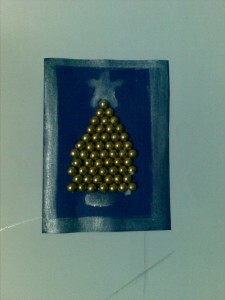 The simple instructions to make this Christmas card are given below. 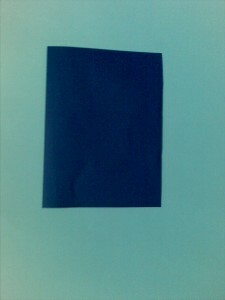 Fold a piece of card paper into the size card that you want. 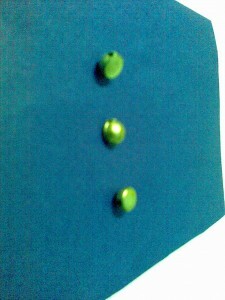 Place one bead on the top middle as shown. 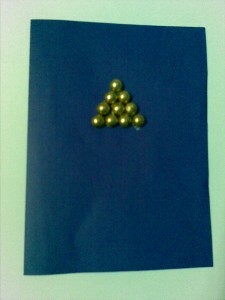 Arrange 2 beads below it, 3 below the next row and so on. 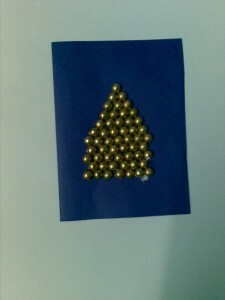 When you reach the lower part of the tree, you can do rows like 5,6,5,6 to give a zigzag effect of a christmas tree. 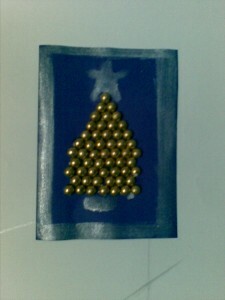 Use silver paint to make a border and finish off the tree with a star. 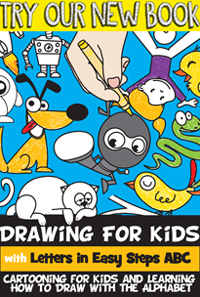 Allow it to dry, write a message to a friend for Christmas.